(Austin) — The Senate Finance Committee opened public hearings this week, beginning with agencies related to general government. That includes budgets relating to institutions like the Office of the Governor, Comptroller, Attorney General, as well as state pension funds, courts and payments on state debt. While not a major cost like health care or education, the state spent $4.5 billion on general government last session and the initial budget proposal for the next biennium would increase that spending by about $200 million. Much of the debate in committee this week, however, centered on what was not in the budget. On Monday the committee heard testimony relating to the Public Integrity Unit, the government fraud and corruption investigation body run out of the Travis County District Attorney's Office. After the Travis County DA pled guilty to a drunk driving charge in 2013, then-Governor Rick Perry vetoed funding for the office. The current budget doesn't include funding for the PIU either, but Finance Chair Senator Jane Nelson said that's because the Legislature needs to decide the scope and location of such an agency. "I certainly believe that the functions of the Public Integrity Unit are very important," said Nelson. "I know there is going to be a discussion this session…about where the function should be placed and at what level they should be funded, and so I didn't put anything in [the budget] until we know where we're going with this," she told members. Also absent in the budget was funding that would make the state employee pension funds completely sound. Employee Retirement System Executive Director Ann Bishop told committee members Thursday that at current funding levels, the pension fund will run out of money in 2064. While that's not an imminent concern, Bishop said that bond credit rating houses, like Moody's, consider pension obligations as a form of debt when issuing credit ratings. Austin Senator Kirk Watson worried that not fully funding ERS could lead to credit troubles in the future. "We've been bragging, appropriately, about having a triple-A rating, but Moody's is telling us 'Pay attention to what you're doing here'," he said. Like the PIU, Nelson told members that this was another issue that needs significant consideration from the Legislature over the coming weeks. "We will do something," she said. 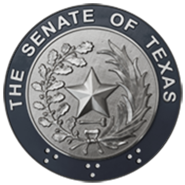 Transportation was also at the forefront this week, as Senate Transportation Committee Chair Senator Robert Nichols unveiled his plan Wednesday for increasing funding at the Texas Department of Transportation. His legislation would ask the voters to approve setting aside revenue from the state motor vehicles sales tax for exclusive use on road and bridge maintenance and construction, which he estimated could range from $2 to $3 billion annually. It would give TxDOT the predictable, long-term revenue stream the agency needs, he said, to plan future projects. "For it to really work, it's not so much how much they get next year or the year after, TxDOT needs to know six years out, eight years out, so we can do the long term major projects that are needed in this state," said Nichols. The Senate will reconvene Monday, February 9 at 2 p.m.